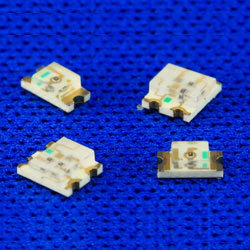 DAINA is the Best Choice of LED Manufacturer in Taiwan. 1. Part no. : D1-1206SR; viewing angle(deg): 140. 2. Part no. : D1-1206UHR; viewing angle(deg): 140. 3. Part no. : D1-1206HY; viewing angle(deg): 140. 4. Part no. : D1-1206UHY; viewing angle(deg): 140. 5. Part no. : D1-1206YG; viewing angle(deg): 140. 6. Part no. : D1-1206UYG; viewing angle(deg): 140. 7. Part no. : D1-1206DLG; viewing angle(deg): 110. 8. Part no. : D1-1206DNB; viewing angle(deg): 110. 1. Part no. D1-1206SR; emitted color: red. 2. Part no. D1-1206UHR; emitted color: red. 3. Part no. D1-1206HY; emitted color: yellow. 4. Part no. D1-1206UHY; emitted color: yellow. 5. Part no. D1-1206YG; emitted color: green. 6. Part no. D1-1206UYG; emitted color: green. 7. Part no. D1-1206DLG; emitted color: green. 8. Part no. D1-1206DNB; emitted color: blue.